I know that I am usually the one that you hear saying that there must have been a reason that Catherine and her staff chose to handle an event, the release of photos, or the release of information a certain way. Again today, I keep reminding myself that there MUST be a reason…but for the life of me I JUST CANNOT FIGURE OUT THE RATIONALE BEHIND THIS ONE. Last night EACH held a Gala dinner at the Natural History Museum. To me the collaboration of two of her patronages at this late date in the year, for an appeal that she has been involved with from the start seemed like a perfect match for her royal diary. Somehow I was wrong. One of the first Royal Patronages that Catherine took on was that of Royal Patron of East Anglia’s Children’s Hospices or EACH. at the time, Catherine chose to shine a bright spotlight on the cause of Children’s Hospice Care and Pediatric Palliative Care by giving her first public speech at the EACH Treehouse in Ipswich, Suffolk. Her first public speech while overseas was on the topic as well. The more that I learned about the work that EACH does, the more I felt a strong connection to the organization, and the more I became determined to do what I could with the platform that I have to help them. It is a passion that continues to this very morning and is part of why the sadness and disappointment that I feel is so very strong. There were some tears last night and there are more as I write this…I feel like Catherine has let a perfect opportunity slip through her hands. You see last night, EACH held their inaugural Gala at the Natural History Museum. They even had the ONLY live headlining performance that their Grammy Award-Winning Ambassador Ed Sheeran will do this year…and Catherine was not there. Before you roll your eyes at me and tell me to get over it, hear me out. I don’t expect Catherine to be a Sheerio, I honestly don’t care what she thinks of Ed’s music. (Okay, so I hope she loves it and I pray that she and William have slow danced somewhere in Kensington Palace to “Thinking Out Loud”…not my point). I expect her to do her job and show up at functions for her various patronages where her attendance can make a difference. , and smile. Turns out this menu was anything but predictable, an adult take on childhood favorites. When I first heard the announcement about this gala I squealed and did what passes for a happy dance over here (Ed calls it a hamster dance). As I learned the details of the event my hopes kept skyrocketing that I would finally get to see Ed and Catherine join forces in support of a wonderful organization. My hopes, I thought, were well founded . I mean, this was a large event, for one of her patronages, hosted by another of her patronages. It’s event date made it perfect timing as she would likely be back in London for various holiday functions. Being at the end of November, it would make for a perfect final charity event of the year. 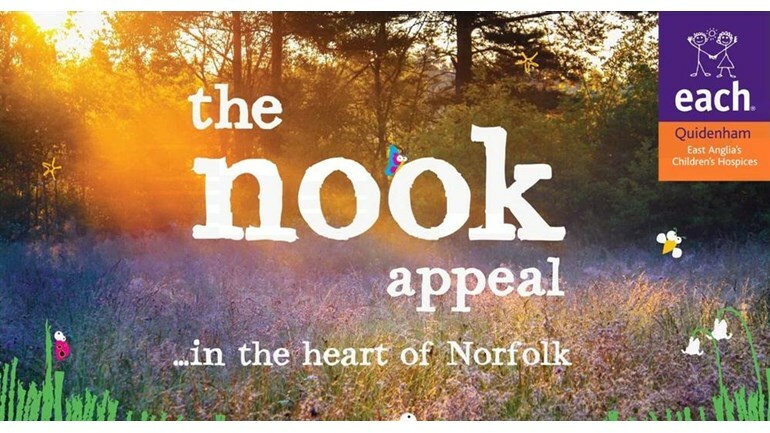 And she has been at several events aimed to help with EACH’s “Nook Appeal”. She’d add this to her diary, I was just sure of it. Sadly, I was wrong. Your Royal Highness, sending a short statement to be read last night is not the same thing as showing up to lend your support. It was completely understandable that you took the time to attend the memorial for the late Duke of Westminster, things like that should always be attended if at all possible. The problem is that you have only had one day of public engagements since Remembrance Sunday. Your husband, on the other hand…has had several days of engagements and he had a full day of outings in Derby yesterday and then topped it off with a black-tie event at the V & A Museum as Royal Patron of Tusk. I get that you want to be a hands on mom, but you also hold a position in life that means you need to spend time in the public eye supporting various organizations. This was an easy event that you passed up, I don’t understand why. I am not crazy enough to think that Catherine and Ed joining forces for this one event would bring in the funds to complete the appeal….I’m not even sure exactly how close they are to that £10 Million amount as there are some donations that they cannot mention at this time and others that are based on factors that not even the donor can control. What I do know is that if Catherine had attended the event there would have been even more eyes on it and some of those eyes might have led, through attendance, auction bids, and other things to even more funds being raised. If you wish to donate you may do so here. 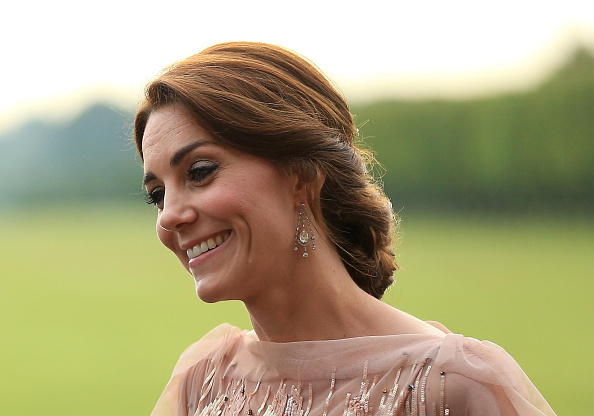 And that is before we get to the crowds of people who were tuned in online…..we know there are thousands of people who watch for every move Catherine makes, and every piece that she wears; sites like A Petite Princess would not be here if they didn’t. Now, add in for me the millions of fans of Ed Sheeran, who before this had not heard from Ed on social media since 13 December 2015, hadn’t seen him in public for an interview (yes, there have been sightings but they were on his private time…he’s not been a total hermit), and hadn’t heard the opening chords of “I’m a Mess”, “Give Me Love”, “Lego House” or any other song in almost a year. They missed him. I missed him. And yet as summer turned to autumn and we began to hope for his promised return, we knew he would come when the time was right. He came back to us with a set that in truth was about the length of half a normal concert. Last night I was able to use social media to my advantage and do 2 or 3 things at once. It was all about balance, I was making notes for my article on the Gala and making notes for this article, all with an ear on Ed. Balance can be hard to find sometimes, but when found it means fans like me can focus on getting information out to other fans who don’t know about his connection to EACH, what he has done for them in the past, and most importantly what his fans who are over the moon at hearing him back on stage can do to help this great cause. Ed’s fans are not selfish with their resources. Some of his recent auctions for EACH and St. Elizabeth’s have raised impressive amounts and his fans will rally to in assistance of a favored cause any time we are asked. If both fandoms had been in action last night the results might have been incredible. I know the photos would have been everywhere, and I’d have been commenting on most of them with information on how to help….and I have Sheerio friends that are unbelievably fantastic at drawing attention to causes. Catherine, Ma’am, I’ll never understand why you were not there. But that won’t stop me from doing everything I can for EACH. This certainly needs to be said……. Well done. It really was a missed opportunity, wouldn’t you love to know the thinking behind her absence/declination. They either don’t have the best advisors or are hesitant to taking advice. This kind of mistake- as I see it has happened before and it’s a real shame. First time reader here but longtime kate fan/observer. Insightful post. Welcome! I hope you’ll stay and visit us more often. Sad that she did not show up. Is she at all aware of the suffering of these children and their families are going through, and how her appearance at the Gala would have meant so much to them. It is obvious she has no clue, nor could she care that much. How awfully disappointing for all those who care so deeply about the hospice and the families they serve. Unfortunately, the Duchess seems to missing the point of marrying into the royal family. Between not attending the Irish Guard ceremony earlier this year, not attending any events during Hospice week and now this, I just don’t get it. I mean she knew that royal life is about service to others, highlighting charities and those who work so hard to help others, right? While her engagement total is pretty high this year due to two tours, she’s still only worked 58 days this year and she’s only at her engagements for 30-45 minutes, certainly she could have spared an hour or so to help EACH reach their goal. I’m afraid you missed the point of this. I know you are an avid supporter of EACH, but do you think writing these presumptions will help their cause? I don’t think so, not at all. In fact I suspect they will be the first to defend their beloved patron if you asked them. 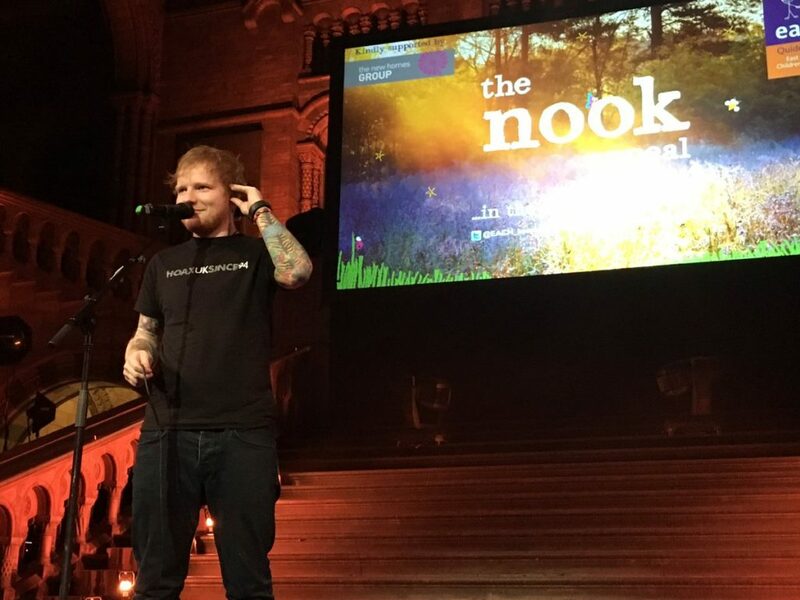 Was Catherine supposed to even be at the gala, knowing fully well that Ed Sheeran as well as other EACH ambassadors often do their own thing for the charity? As you said, she and William had attended a similar gala this summer. Who is it to say she should attend this one, too, on the same night that her husband hosts a Tusk dinner gala, and her brother-in-law is on a very high profile tour of the Caribbean? It would’ve been nice if you asked EACH to clarify before concluding. More power to you. Sincerely, Jenny. I appreciate your take on the matter, I can only say at this time that I would not have posted this article if I did not have reason to and I certainly didn’t post it without doing my research. Kate is a terrible person. She really just doesn’t care. William, I don’t think she’s a terrible person. I think she missed a great and easy opportunity, and that those around her who help her set and alter her diary really need to do a better job and realize that there are more things that must be MUST DO events on the calendar, not just Trooping. She will soon get to see what real humanitarian work is from Meghan Markle – Prince Harry’s girlfriend. That is a caring lovely patron. . She also cancelled out from the Irish Guard when she was supposed to give them Shamrocks, saying she wanted to spend time with her children. Quite pathetic. She has tons of help for her children – you would think she could spend a little bit of time to do what the Royal family has done for decades. She just bailed out on them. What give;s with this woman. I have lost all respect for her.